This is the very first edition of The African World, a bi-monthly magazine that covers development, finance, technology, business, diplomacy, health and art across Africa and in its Diaspora. 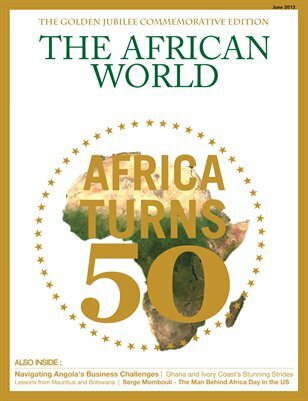 This edition is specially dedicated to the celebration of the Organisation of African Unity (African Union)’s 50th anniversary held in May 2013. We bring to you exclusive insights of how the African Union was founded and the progress and challenges it has known so far, with encouraging development reports from Mauritius, Botswana and Ghana. Also inside, up-to-date situation and analysis of doing business in Angola, Ivory Coast and how well oil and gas and other natural resources are serving the continent and its peoples. With a number of African footballers plying their trade in top European leagues, what are they bringing back to their communities? See for yourself inside!